The Micro C GPS is an incredibly compact and lightweight unit with ANT+ and Bluetooth Smart sensor compatibility and a color screen. Incredibly small and lightweight, the Lezyne Micro C GPS offers more features than its bigger sibling, the Super GPS Enhanced, but in a much smaller package and with a color display. At only 29g, weight weenies will rejoice over this heavily featured unit with an easy to use companion app and ANT+ and Bluetooth Smart sensor compatibility. It's impressive to see how many features can be packed into a model that is this small and lightweight. That being said, the display of the Micro C is tiny and somewhat challenging to read, as are the buttons which are far less intuitive and easy to use than other models like the Wahoo Fitness ELEMNT BOLT. Overall, however, the Micro C GPS offers excellent value for its combination of features, compatibility, versatility, weight, and reasonable price earning it our Best Buy Award. Lezyne makes a broad range of GPS enabled cycling computers in their current product line that are all packed with features and offered at very competitive prices. In fact, the $140 Micro C GPS we tested fall around the middle of that range that maxes out at $200 for the Mega XL (also tested). The C stands for color, and the small unit has a color screen, while most of the other models in Lezyne's range do not. With virtually all the same features, smartphone integration, and versatility as our Best Buy Award winning Super GPS Enhanced, the Micro C GPS is a powerful computer in an incredibly compact and lightweight package. In fact, the Micro C GPS weighs in a full 30g lighter than any of the other GPS enabled models we tested. This reduction in size and weight doesn't reduce the number of features or connectivity; it does, however, result in a smaller screen and a somewhat shorter battery life. When paired with Lezyne's companion app the Micro C GPS features turn by turn navigation, Live Tracking, and Strava Live segments, and it is ANT+, and Bluetooth Smart enabled to pair with all your sensors including electronic drivetrains. If you're on a budget and you count every gram, then look no further. The Micro C GPS mounted to the handlebar during testing. We found the Micro C GPS to be relatively easy to use. Excellent integration with the Lezyne Ally V2 app makes it easy to customize your settings, pair with ANT+ and Bluetooth Smart sensors, and sync your data to your favorite fitness tracking apps. The Micro C GPS uses four tactile buttons, two on each side, to turn the unit on and off, control all the functions, and scroll between pages. The multi-function buttons of the Micro C GPS aren't nearly as intuitive as those on the Wahoo Fitness ELEMNT BOLT or the Garmin Edge 520 Plus, but with a little practice, you get used to them. The Micro C GPS shares the same button configuration as the Super GPS and the Mega XL, although we found the smaller housing to be a little less user-friendly when it came to pressing the buttons. The tiny buttons are raised and easy to locate with your fingers, but the small housing makes it a bit more difficult to push them, especially with gloves on. We found ourselves occasionally pressing two buttons at the same time since they are on opposite sides of the housing, but again with some practice; you get used to it. The Micro C GPS lives up to its name, and it is small. It also shares the same controls and button configuration with the Lezyne Super GPS Enhanced. The multi-function buttons also presented us with a little difficulty; at first, we found ourselves often pressing the wrong button, scrolling the page or starting another lap instead of opening the menu or whatever it was we wanted to do. After a little time using the Micro C GPS, however, we eventually learned which buttons to press and when, it just wasn't nearly as intuitive as the other models with tactile buttons. Overall, screen navigation is reasonably straightforward. The device is turned on by pressing and holding the upper left power button, and it boots up almost instantly, about three seconds. The main screen shows the strength of your GPS signal, battery life, time, paired phone and its battery charge, as well as connected sensors. Recording of data is started by pressing the lower right button, labeled Lap. You can scroll through as many as five data pages by pressing the upper buttons on either side of the housing to display the data that is most important to you during your ride. You can adjust the number of pages, as well as the data fields on each page to dial it into your preferences by pressing and holding the Menu button, upper right, which brings you to the Menu where you can scroll through all of the different options. All of the programming can also be done through the Ally V2 app, which is much easier. Navigation the pages on devices like the Garmin Edge 820 is noticeably easier due to the use of the touchscreen which allows you to swipe much like a smartphone as opposed to using a series of buttons. The Edge 520 Plus, which also uses tactile buttons, is also a little more straightforward to navigate due to the dedicated function of each button as opposed to the multi-function buttons of the Micro C GPS. This is also the case with the ELEMNT BOLT, which has a less complicated system of buttons and the customization of settings is done primarily through the well designed and easy to use companion app. Rides displayed on the Lezyne Ally V2 app. From here they are backed up on your device, auto-synced to Strava, or uploaded to the Lezyne GPS Root website. Smartphone integration and data transfer are the Micro C's strong suits. This is thanks to the well designed and intuitive Lezyne Ally V2 app. Just download the app for free then pair your smartphone with your device and you're on your way. Data transfers quickly from the Micro C GPS with auto uploads to Strava and Lezyne GPS Root website, and you are given the option to back it up on your phone. We also found the Bluetooth connection to work well as text, phone call, and email notifications came through during use. Data transfer can also be done through the provided micro USB cord to both the GPS Root website and Strava, but we found this process to be more complicated than necessary with the wireless data transfers working so well. The Micro C GPS can also be set up to do Live Tracking, Strava Live segments, and turn by turn navigation through the Ally V2 app. One downside of the Micro C GPS is its lack of Wi-Fi connectivity, meaning you are dependent on your smartphone to transfer data wirelessly. While this isn't a deal breaker for most people, devices like the Garmin Edge 820 have more wireless data transfer options because it has both Wi-Fi and Bluetooth capabilities. Overall, we found the Lezyne Ally V2 app to be very user-friendly, similarly intuitive to the Wahoo ELEMNT app, both of which are far superior to the Garmin Connect app. The Micro C GPS has a rechargeable Lithium Polymer battery which is recharged with the included micro USB cable. It boasts a battery life of 14 hours, more than ample for just about any ride, but a bit of a sacrifice when compared to the 24-hour battery life of the Super GPS or the 48-hour run time of the Mega XL. We never found the 14-hour battery life to be an issue, and you can easily go for long rides several days in a row without having to recharge it. The 14-hour battery life is competitive with most of the other GPS enabled devices in this test all of which have around 15 hours of battery life. Once the battery has been depleted, it takes approximately two hours to recharge fully - roughly the same as most of the rechargeable units in the test selection. Set-up of the attachment for the Micro C GPS is about as easy as it gets. All of the Lezyne models share the same standard X-Lock mount which mounts directly on your handlebar or stem, assuming you have a rounded stem, and is held on with the included rubber bands which are included in 2 sizes. The Wahoo Fitness ELEMNT BOLT and the Garmin Edge models all come with a similar mount, but both Garmin and Wahoo Fitness also include an out-front style mount with their devices. Lezyne's X-Lock mount is slightly more difficult to use than the quarter turn Garmin or Wahoo Fitness mounts, but only requires a little downward force while twisting to get it engaged or disengaged in the mount and feels very secure. Lezyne's standard X-Lock mount is secure enough to handle the rough and rocky steeps of South Lake Tahoe's most iconic trail. Programming the Micro C GPS is relatively simple, the same as the Super GPS Enhanced. Of course, you can just turn the unit on, download the Lezyne Ally V2 app and pair it with your phone and go, but most people will want to do some basic programming. A few settings are customized through the Ally V2 app, but the majority of it is done on the device itself. Virtually everything is programmed through the Ally V2 app such as text, call, and email notifications, Strava auto sync, Strava public share, Training Peaks sync, Strava Live segments, and Live Tracking. Personal information, custom bike profiles, data page customization, you name it, everything but pairing with sensors can be done through the app. Most of the programming can also be done on the unit itself by pressing down and holding the upper right button labeled Menu. Once on the Menu page, you can scroll by pressing the buttons on the right side of the unit to go up or down through the options. Here you can set the time, choose a language, enter personal information like age, height, weight, gender, pair or unpair your phone, and connect to ANT+ and Bluetooth Smart Sensors. The type of sensor is selected under the Sensors page on the main menu; then the Micro C GPS will search for the sensors and pair with yours following a series of prompts. Once paired, the unit will automatically sync with it every time it is turned on. The Micro C GPS has a broad range of features, almost identical to those of the Super GPS Enhanced but in a much smaller package and with a color screen. There seems to be much ado about the "vibrant color" of the Micro C GPS's screen, but it doesn't do all that much for us, and we feel it's really about the same as a black and white display. The Micro C GPS offers slightly fewer features than the Garmin Edge models and the Wahoo Fitness ELEMNT BOLT and therefore scores lower than these products. When compared to non-GPS enabled units like the Cateye Velo 7 or Planet Bike Protege 9.0 Wireless, however, the Micro C offers many more features than these more basic products. Speed: Current, Average, Max, calculated from GPS data or bike mounted sensor. Distance: calculated from GPS data or bike mounted sensor. Elevation: Gain, Loss, Current, calculated from GPS data and barometer. Cadence: Current, Average, when paired with an ANT+ or Bluetooth Smart sensor. Power: Current or Balance, when paired with an ANT+ or Bluetooth Smart power meter. Heart Rate: Current, Average, when paired with an ANT+ or Bluetooth Smart sensor. Clock: Current time, elapsed time. The Micro C GPS uses both GPS and GLONASS satellite data. It typically acquires a satellite signal simultaneously or within seconds of it turning on, about the same as all of the other GPS enabled computers. A glitchy vertical footage reading, with the Lezyne compared to an iPhone reading from the same exact ride. While we never lost the GPS signal during testing, we did encounter a couple of glitches in elevation gain during testing with the Micro C GPS. These glitches only seemed to affect the elevation gain numbers, as the distance was on par with other members of the group. This only happened twice but was odd and notable nonetheless. Just like the Super GPS Enhanced, the Micro C GPS does not have a base map or the ability to load or display detailed maps. It does have what is called a breadcrumb trail feature which traces a white dotted line of your route on a black background. We never used this feature to retrace our route anywhere, but it doesn't seem all that easy to do. When used in combination with the Ally V2 app you can locate yourself on the map using the navigation feature assuming you have cell service. Models like the Wahoo Fitness ELEMNT BOLT and the Garmin Edge 820 come preloaded with detailed base maps and have the ability to store numerous routes and provide directions. The Micro C shares a unique mapping feature with the Super GPS called Take Me Anywhere. The Wahoo Fitness ELEMNT BOLT has a similar feature called Take Me To. When using the Ally V2 app on the navigation page, you can type a destination in the search bar, then select from the options it gives you. Once selected, the app then gives you up to three route options from your location to the selected destination. After selecting your chosen route, the app then sends it to the Micro C GPS and turn by turn directions will appear on the screen as you proceed. The Take Me Anywhere navigation feature of the Micro C GPS. The app allows you to choose the destination and displays the route on the map while the device provides directions. To use this unique navigation feature, you must have cell service to search for your destination and get the route information. Assuming you maintain cell service you have nothing to worry about, but once the route information is transferred to the Micro C GPS cell service is no longer required for the duration of the route - assuming you stay on the correct path. If you happen to veer off the course and you've lost cell service, however, the Micro C GPS can't reroute you. The Garmin Edge 820, on the other hand, can recalculate a route if you happen to veer off course. The Micro C GPS does have the ability to follow created or saved routes, and routes can be created on the Ally V2 app or on the GPS Root website where they can be saved. You can also import gpx and .tcx file to the GPS Root website and follow Strava segments and routes. When it comes to mapping and directions, it's hard to argue that the Garmin Edge models are the on the top step of the podium with the Wahoo Fitness ELEMNT BOLT coming in second. That being said, both the Micro C GPS and Super Enhanced GPS offer navigation features that many people will use and enjoy. The Mega XL offers a larger screen for viewing maps and the ability to upload detailed maps for on and offline navigation. In addition to navigation functions mentioned above, the Micro C GPS integrates with your smartphone to display text, call, and email notifications on the screen. This is a relatively common feature that is also found on all of the GPS enabled computers in this review. The Micro C GPS also syncs ride data to the Ally V2 app, directly to Strava, and even the Lezyne GPS Root website. It is also worth noting that all of the Lezyne models share the unique feature of a battery life indicator for your paired phone. Similar to most of the best GPS cycling computers on the market, Lezyne has a Live Track feature which is set up through the Ally V2 app. This feature allows you to select email contacts and send them a link to track the progress of your ride as it is happening. This feature provides an additional safety net in the event of an accident. Brands like Garmin and Wahoo Fitness offer similar features with their devices, as does Strava which now has a feature called Beacon available to premium members. The Micro C GPS only syncs the Strava Live segments that you want. Assuming you are a Strava Premium member you can view Strava segments in the Ally V2 app. Strava segments can be enabled or disabled based on your preferences. Just like the Wahoo Fitness ELEMNT BOLT, the Micro C GPS allows you to control which segments you see by only showing starred segments and allows you track your progress in real time so you can know instantly how you performed. Garmin offers a similar feature, but loads not only the starred segments but Strava selected segments as well, the Lezyne and Wahoo Fitness models give you more control over this feature. The Micro C GPS pairs with both ANT+ and Bluetooth Smart sensors. 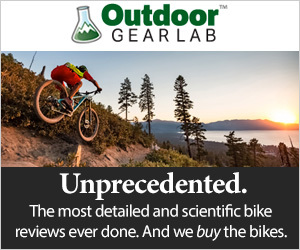 The Super GPS, Mega XL, Edge 1030, and the Wahoo Fitness ELEMNT BOLT do as well. All three of these models are capable of using both sensor types at the same time, so compatibility with different sensor types is not an issue. Both the Garmin Edge 820 and the Edge 520 Plus only pair with ANT+ sensors. The Micro C GPS is an incredibly versatile and powerful little unit. Other than maps, this incredibly small and lightweight device has virtually every feature you could ever want in GPS enabled cycling computer at half the weight and half the price of its more expensive competitors. It has excellent smartphone integration, compatibility with ANT+ and Bluetooth Smart sensors, Live Tracking and Strava Live segments, and the ability to switch between several outdoor activities. The Micro C GPS is great for training, racing, and casual riding no matter what type of bike you ride. None of the Lezyne models in this test carry the IPX rating for water resistance like the Garmin or Wahoo Fitness models; however, it is still highly water resistant. During our testing of the Micro C GPS we didn't experience much in the way of inclement weather, although we did ride through some small creeks and even gave the unit a good long submersion in a glass of water. The Micro USB port's rubber cover is slightly more difficult to close than others we tested, but assuming the rubber cover is correctly placed the Micro C GPS can resist whatever nature throws your way, or even get fully submerged in water, though that's not exactly recommended. The Lezyne Micro C GPS is highly water and weather resistant, it can even handle submersion in water. The Micro C GPS is well suited to all types of cycling, whether you're mountain biking, road biking, gravel grinding, or commuting. It works well as a training tool for those obsessed with numbers and physical output, as a passive-aggressive Strava racing assistant, or for just casually keeping track of your distance and routes. Numerous bike profiles make this a good choice for those who switch between road and mountain bikes regularly. The smartphone integration and excellent companion app also make it easy to use. People exploring new areas and are dependent on maps may be better off looking into computers with maps and more robust navigation features like the Garmin Edge models, or the Wahoo Fitness ELEMNT BOLT. Those who like to see their screen while riding may want to consider devices with a larger screen, as the Micro C GPS is roughly 1-inch x 1 inch and is significantly harder to read than those with larger screens. At a retail price of $140, we feel the Micro C GPS is an incredible value. The compact and lightweight unit is packed with all the features most people will ever need. Weight-conscious and budget-minded riders need to look no further. The Micro C is an incredible GPS cycling computer that comes in a tiny and lightweight package at an unbeatable price. It lost ground to its competitors due to its lack of maps and slightly less intuitive multi-function buttons. That being said, the Micro C has been packed with nearly all of the features most people could ever want with excellent smartphone integration and the ability to pair with ANT+ and Bluetooth Smart sensors. Sure it lacks the touchscreen bling of models like the Garmin Edge 820, but its less than half the price and half the weight and still gets the job done. If you want roughly the same features with a larger non-color screen then check out the Super GPS Enhanced. The Micro C GPS is offered as a stand-alone computer as tested for $140. It is also available in two bundled packages, the Micro C GPS HR Loaded bundle includes a heart rate monitor and retails for $180. The Micro C GPS HRSC Loaded bundle includes a heart rate monitor and speed and cadence sensors and retails for $220. Lezyne makes a full line of GPS cycling computers including a non-color version of the Micro GPS ($130), the Super GPS Enhanced ($150), the Macro GPS Enhanced ($100), and the Mini GPS ($100), all of which are offered in the same packaged bundle options listed above with heart rate monitors and speed and cadence sensors. Lezyne's newest models, the Mega XL (also tested) and the Mega C, both retail for $200 and are the largest models they've made to date. Both have class-leading battery life, large screens, pre-loaded maps, and off-line maps and navigation capabilities. Competitive Cyclist $139.99 - 13% off! Amazon $139.99 - 13% off!